P-card training is training for employees who will be given purchasing cards that covers a company’s p-card program and its policies and procedures. Training on p-cards also explains the obligations and responsibilities of employees when they make purchases for the companies with the p-cards. According to RPMG Research, p-card programs at companies are growing at a compound annual growth rate of 8 to 10 percent. P-cards are also called purchasing cards or procurement cards. They are a form of a charge card that companies can give to employees to make low-dollar daily purchases on the companies’ behalf. The cards can help to get rid of costly processes such as reimbursements, invoice processing, and petty cash systems. Who can benefit from p-card training? Businesses that intend to incorporate p-cards into their payment systems can benefit from training on p-cards. Both the business owners and the employees who will use the cards should learn about pcards before they are issued. When businesses and employees learn about pcards, p-card programs can be more successful. P-card training addresses all aspects of p-card programs. You can learn about the controls that are offered by the cards, the types of policies and procedures that can help your company to control and manage its expenses, how p-cards can fit into your company’s existing payment systems, and how p-cards can help to automate accounts payable processes and save your company money. Is p-card training available online? Online p-card training is available for businesses. With online p-card training, employees can log into the training site and to complete the p-card training modules according to your company’s schedule. Training on p-cards online may provide greater flexibility to your business and to your employees. Since your employees can sign into the training when it is convenient for you instead of having to dedicate several hours to classroom instruction, it is possible to work the training around their other job duties. Classroom p-card training is also an option. With classroom p-card training, you and your employees will attend courses that are scheduled for you in person. The courses might be offered at a local college or university. Alternatively, your business might schedule time for a trainer to come to your business and conduct the training in person there. Classroom training may be conducted in a single session over a period of hours, or your company may schedule several sessions that happen over several days. The training will cover the same topics that coursework that you complete online covers. Online p-card training may offer businesses several advantages over training in the classroom. If your company sends employees to a local college or university for p-card training in a physical classroom, you will lose the flexibility that an online program would offer. Classroom training in p-card use may require your employees to be absent at inconvenient times. By contrast, online programs may allow your employees to complete training modules around your business’s schedule. There are several trusted sources for p-card training in the payments industry. One highly reputable source is the National Association of Payment Card Professionals. The NAPCP offers education, networking, and resources for businesses as well as certification for payment card and procurement professionals. Other potential sources for training in the private sector include programs at local universities and colleges. For the public sector, a highly trusted training source is the National Institute of Government Procurement’s Institute for Public Procurement. The NIGP offers numerous resources and training modules that are aimed at public sector employees who will be using p-cards. When you choose to get p-card training through the NAPCP, you can also become a certified purchasing card professional. The NAPCP offers a certification as a certified payment card professional. 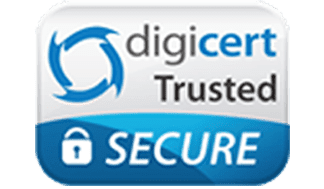 The certification has been offered since 2006, and it is granted to professionals who have demonstrated an in-depth knowledge so that they can effectively administer a p-card program within their organizations. You can apply for the program on the NAPCP’s website. After you complete classroom p-card training or complete your course online, you will want to choose p-cards that give you the kinds of controls that can help you to more effectively manage your business’s expenses. Bento for Business offers p-cards with extensive controls, allowing you to restrict where they can be used, how much can be spent, and when the cards will work. For example, if you own a restaurant, you can give the assistant manager a card to use to pay for food and supplies purchases. You can restrict the card to your preferred suppliers and turn it off when your assistant manager is not working. This can help you to easily track your food costs to the card and to keep your assistant manager from using the card to make personal purchases elsewhere. Bento for Business has established itself as a leader in the business payments industry. 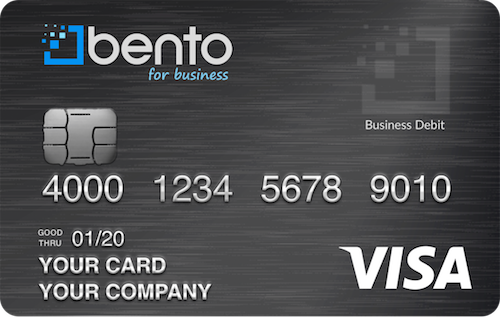 Bento offers Visa debit cards to companies of all sizes, including procurement cards. Businesses can choose card packages in different sizes and can order 10 cards for $29 per month. The cards are not credit cards and will not incur interest charges or annual fees. Since the money is your own, purchases that your employees make will not add to your company’s debt. Bento’s extensive controls and expense management tools can help your company to easily track its expenses while also helping to stop employees from making fraudulent purchases. In order to let businesses determine whether the cards will work for them, Bento offers a free 60-day trial. To learn more, call 866.220.8455.